September has become the second biggest month of the year for UK new car registrations, and a successful period now is crucial for car manufacturers’ annual sales targets. We’ve looked through the best 65-plate deals on offer and selected some of those that offer customers the biggest savings. All are subject to terms and conditions, so check the manufacturer websites or visit your dealers to get the full details on each deal. And remember these are just the advertised offers – it might be possible to do even better if you’re a good negotiator. This is a deal similar to one we’ve featured elsewhere recently, but it certainly qualifies as one of the hottest 65-plate offers this September. 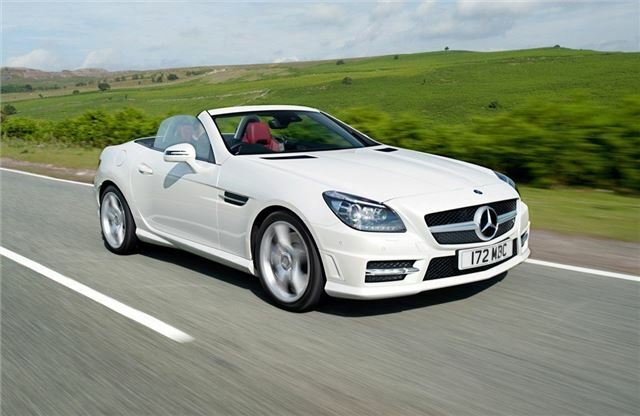 It’s open to PCP customers only (although we’re pretty certain a cash buyer would be able to haggle a decent amount off an SLK), and Mercedes-Benz will add £7714 to the customer’s deposit of £3499 on a new SLK 250d AMG Sport auto. It uses Mercedes-Benzes bi-turbo 2.1-litre diesel engine producing 204PS, so it’s frugal on fuel too.